Due to popular demand I have re-vamped my illustration of a handshake to make it more accessible to use, and to save people the trouble of editing it themselves. Thanks for all your interest in this simple illustration. 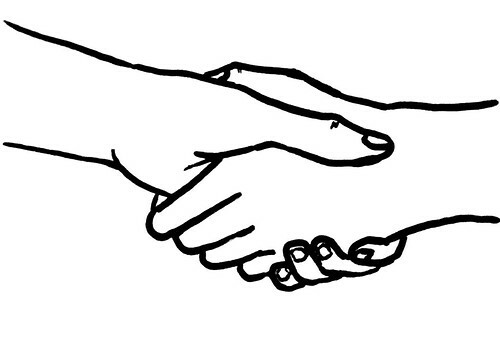 Notice that it is a left-handed handshake, so if you are specifically looking for a right-handed handshake, you can use some simple software to flip it round.